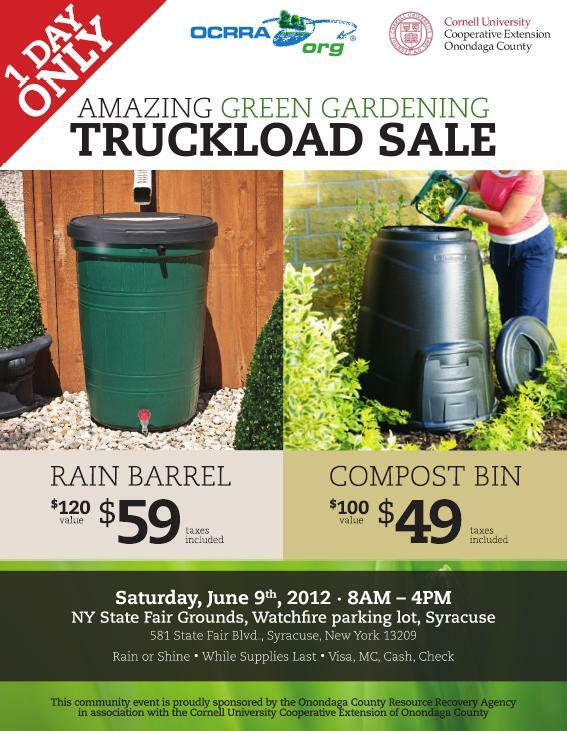 Great deals on rain barrels and compost bins at the Amazing Green Garden Truckload Sale! OCRRA and Cornell Cooperative Extension of Onondaga County will be selling barrels and bins for just under half the typical price! 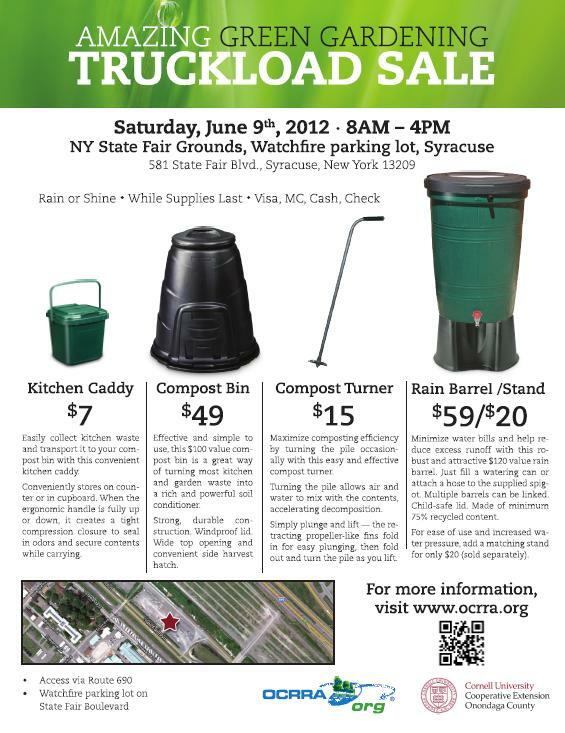 One day only, Saturday June 9th, 2012 8 AM – 4 PM at NY State Fairgrounds, Watchfire Parking Lot, (581 State Fair Blvd) Syracuse. Come rain or shine, while supplies last. Cash, check, Visa, or MC accepted. For more information, visit the OCRRA website.